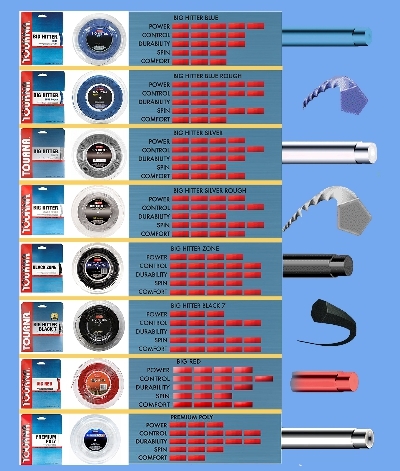 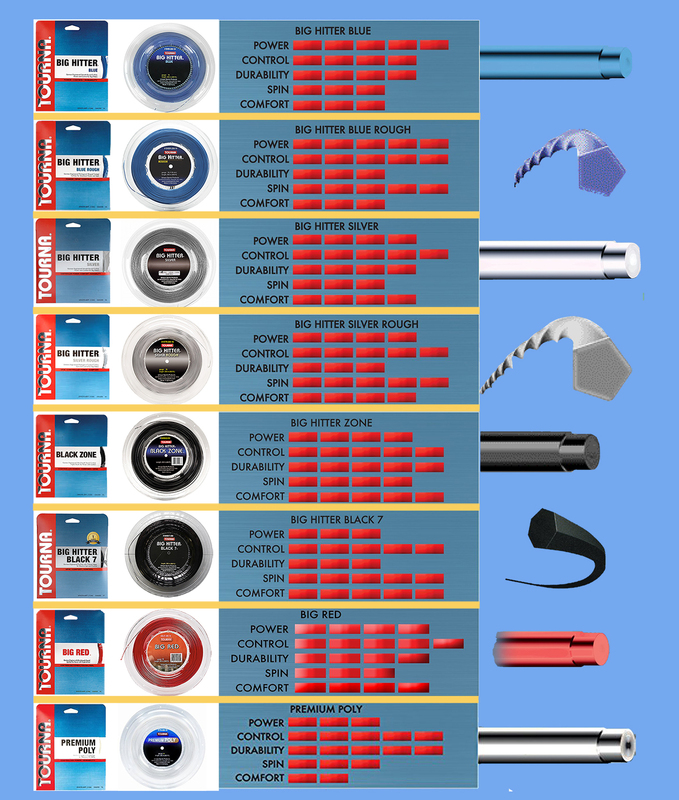 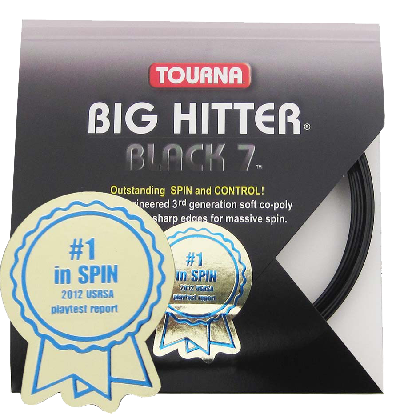 #1 in SPIN out of all strings ever tested by RSI Magazine (May 2012). 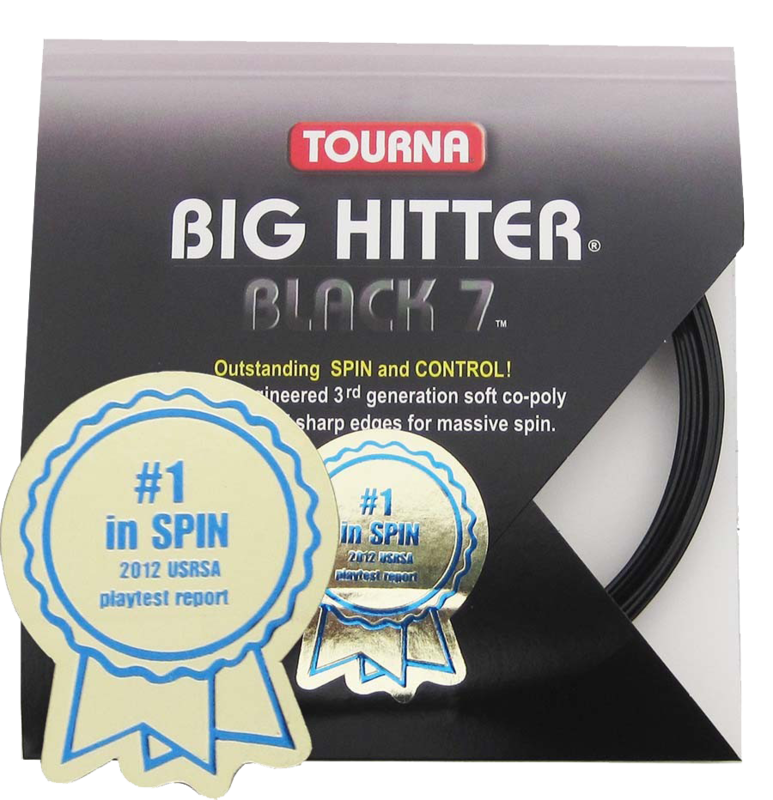 Tourna Big Hitter Black 7 is a German engineered co-poly that is shaped with 7 sharp edges for massive spin! 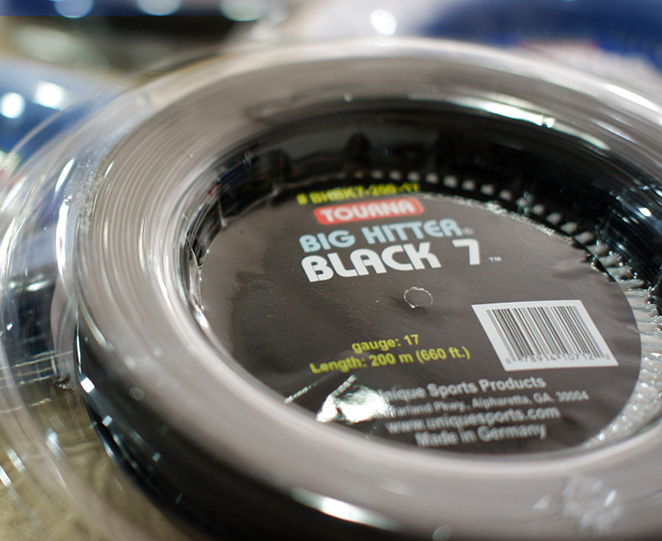 Designed for strong players looking for mid-range power. Pin-point accuracy, maximum spin, without harsh effects of a stiff poly.